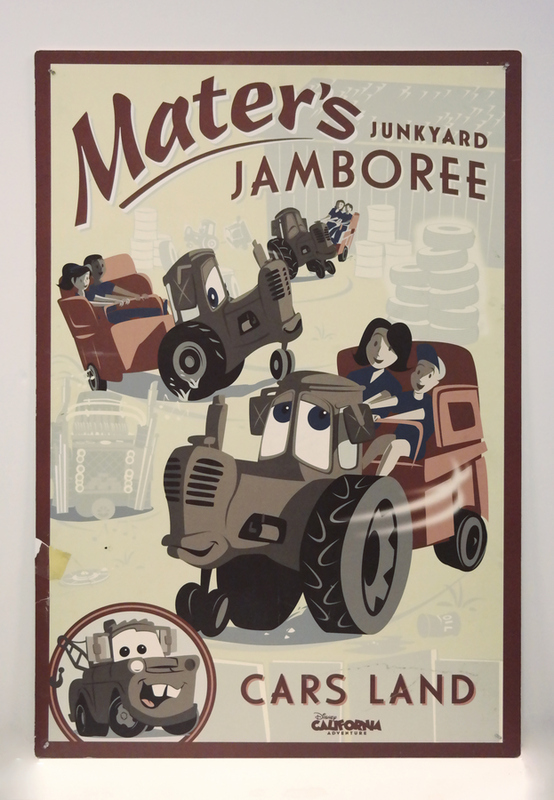 This is an original attraction poster for "Mater's Junkyard Jamboree" at from Disneyland California Adventure. 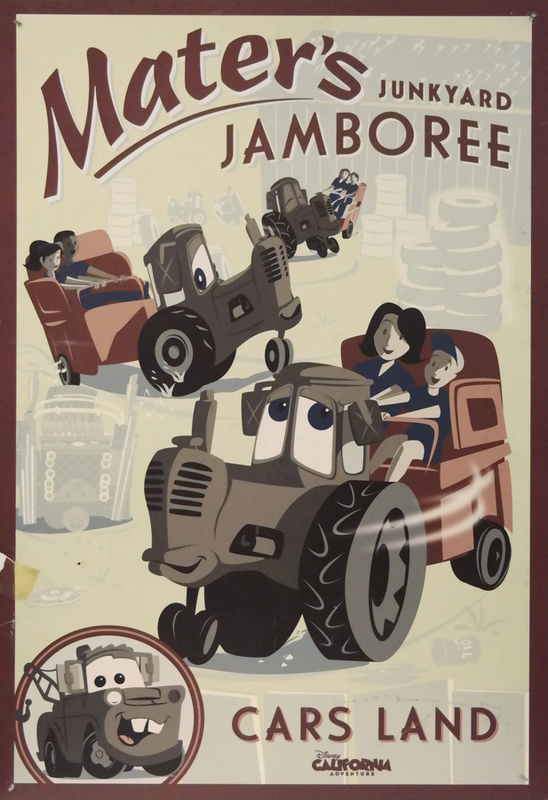 The poster, which was printed on metal to help it withstand the elemnts, was used in the early 2010s, and features a great stylized image of the aforementioned ride. The poster measures approximately 40.5" x 27", and is in very good condition with some scuffing and wear from use, including paint damage on the bottom left edge. There are two holes in each of the corners for mounting the poster, as well as some three strips of adhesive velcro on the back side from its previous display.